The edgebander is decisive for the high quality appearance of your furniture. By concentrating on essentials, HOLZ-HER edgebanding machines combine compact design with maximum automation. 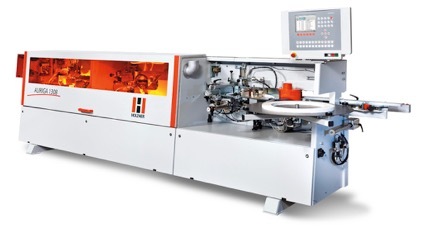 The heart of any edgebanding machine is the glue application system. This is why HOLZ-HER always offers the perfect solution of every edgebander to ensure superior edge appearance. 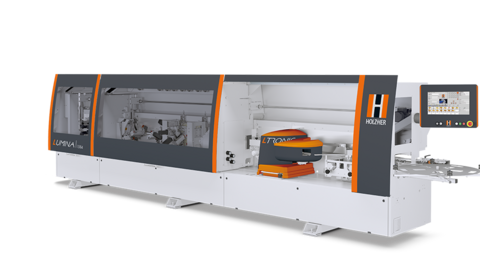 LTRONIC, the new laser edging unit from HOLZ-HER which is unequaled in terms of speed and cost efficiency or the GluJet application system for mass production use of PUR glue for water resistant applications. Regardless of which high performance system you chose, optically invisible zero joints are a matter of course for HOLZ-HER customers. Continuous development work on every edgebander guarantees our customers maximum process reliability and maximises their competitive ability. You can also profit from 50 years of HOLZ-HER technological leadership in edgebanding. The UNO 1302 is compact, fits into virtually any corner and is highly versatile. HOLZ-HER has engineered all of its know-how into a machine just three meters long. The high stability and stiffness of the frame ensure precise part guidance. 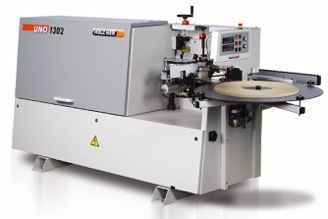 The machine is ready to use within the shortest possible time. Simply move into place and immediately start working efficiently – this is the idea behind the UNO 1302. Getting started with professional edgebanding has never been easier. 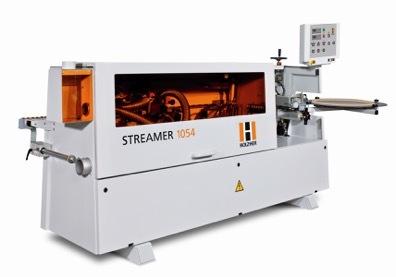 The STREAMER provides for compact entry into the professional HOLZ-HER edgebanding series. The highly flexible glue application using HOLZ-HER nozzle technology sets new standards for state-of-the-art cabinet making in terms of processing PUR glues, changing colors and unequaled heat-up time of only 3 minutes. By concentrating on the essential features, the HOLZ-HER AURIGA series unifies compact design with a high degree of automation. The optimized "Glu jet" application system on the HOLZ-HER machines ensures perfect edge appearance. With its unique hybrid technology, this unit ensures perfect interaction between glue, edging and panel material. The GluJet system ensures easy use of EVA or PUR glues in cartridge or granulate form and with its short heat-up time of only 3 minutes and low energy consumption when remelting the glue, it also helps preserve your resources. Designed for highest requirements in terms of quality and flexibility. 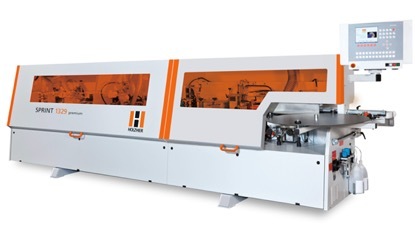 The LUMINA series stands for complete processing of modern edging and panel materials. 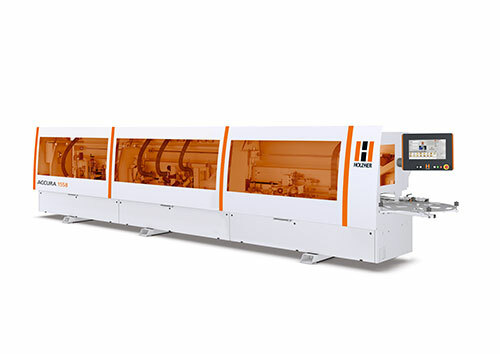 Program selection allows the machine to be set up without even opening the hood, so that it is ready for production immediately. Top belt pressure with feed rate of 25 m/min are just what's needed for an intelligent handling system. The LUMINA series is your guarantee for absolute quality, flexibility and productivity. In addition to our LTRONIC and Glu Jet systems, our LUMINA series offers everything required for professional edgebanding. Up to 25 NC servo-axes for maximum automation of all processes with exact repetition at the touch of a button. Even the pressure and glue quantity settings can be made fully automatically and adapted to the specific requirement.